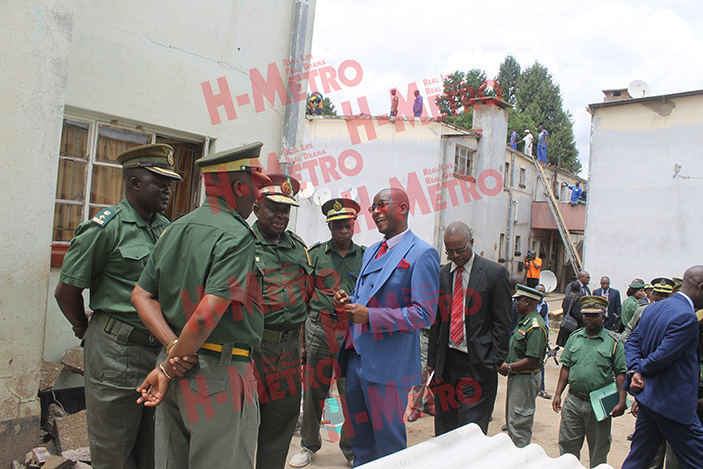 Minister of Justice, Legal and Parliamentary Affairs, Ziyambi Ziyambi, yesterday made a familiarisation tour at the Harare Central Prison with the aim of attending to inmates’ grievances. 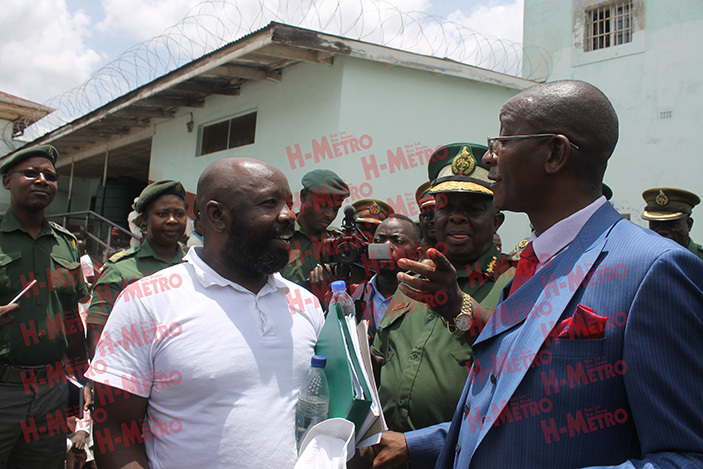 Ziyambi was in the company of Zimbabwe Prisons Correctional Services Commissioner General Paradzai Zimondi. Grievances that inmates are facing include lack of accommodation. One inmate said their living conditions are not favourable as they are squashed in cells. 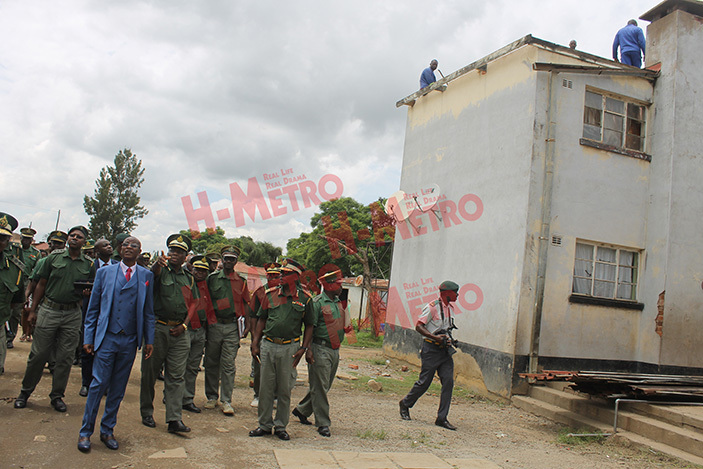 Minister Ziyambi promised inmates a new building that will cater for their accommodation since they are in a process of constructing something which should be completed in two years. “Our jail was built around 1910 thus its falling part so we are in a process of trying to construct another building. 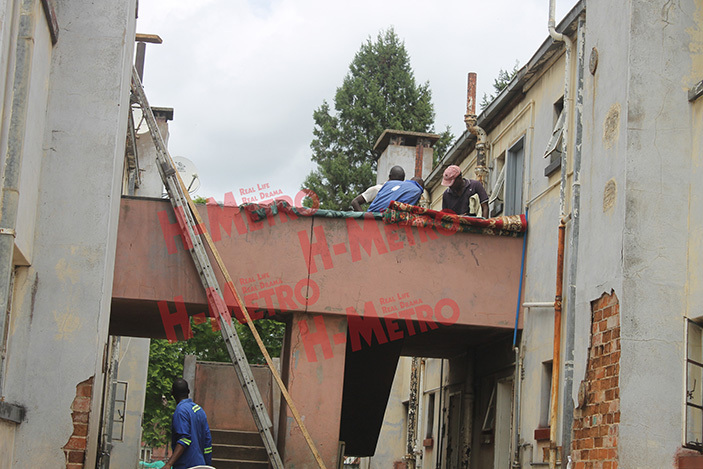 “We cannot start to renovate this building but we hope in two years time we would have completed a building which we can accommodate you,” said Minister Ziyambi. One inmate lodged a complaint on the services they are getting from the prisons hospital saying they are not given any medication yet people fall sick almost every time due to the hygienic conditions at the prison. “Inmates fall sick almost every time but our hospital here does not offer us any medication and we are also facing water challenges. We only took a bath yesterday where three people shared one bucket after the whole month because we were advised that the minister is paying us a visit. We hope that the government intervenes in our dreadful situations,” said one inmate. Minister Ziyambi said the issue of water is a huge problem that needs immediate attention. Other inmates complained that they are not pardoned but their fellow female inmates are always given a second chance. “I committed a crime with my wife but she was pardoned, who will take care of her when I am still in prison. Please consider men as well we have reformed therefore, we envy to return to our families,” said one inmate. 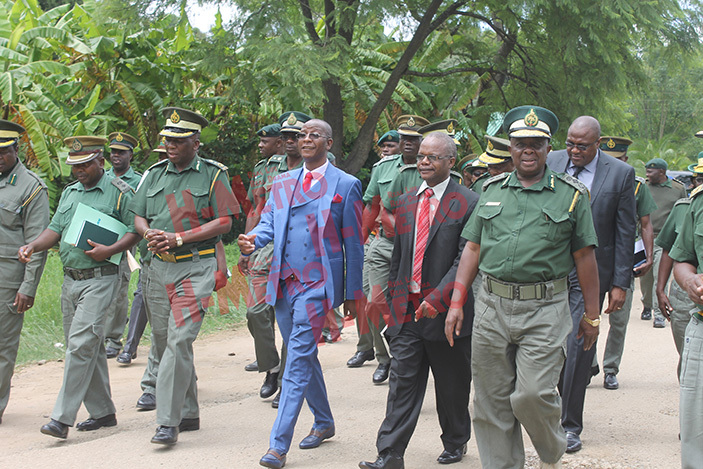 Minister Ziyambi urged inmates never to give up but to be strong whilst they look into the grievances aired to them with the government. He also said the society needs to change their mindset but to accept their fellow brethren when they have been released.